After a series of consistent leaks, we finally see the LG G7 ThinQ flagship, the latest Android handset that is expected to take on the Galaxy S9 and Galaxy S9 Plus. On paper, it has a lot going on and it could very well go on to become a successful flagship if LG plays its cards right. Without keeping you held up, here are all the specifications, features, and other important details you wished to know about the newly announced phone. 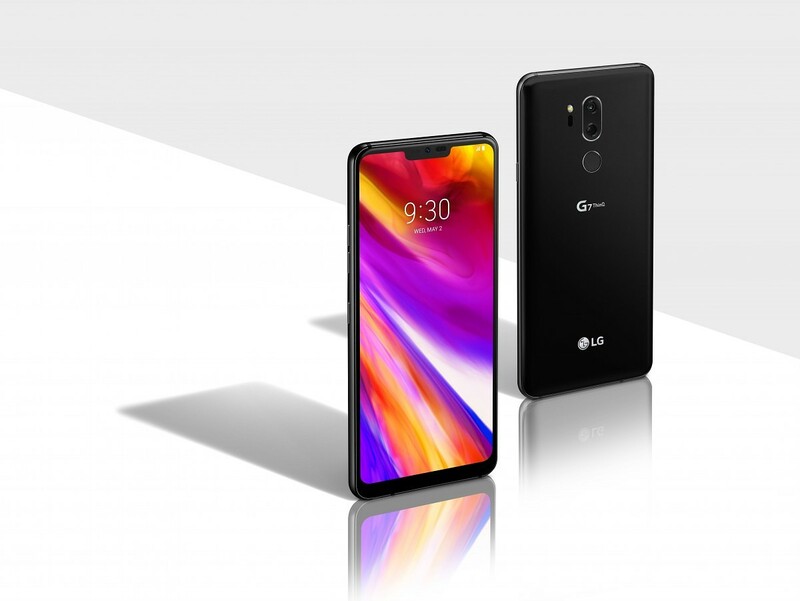 The LG G7 ThinQ is rocking a 6.1-inch Quad HD+ (3,120 × 1,440) FullVision ‘Super Bright Display’. 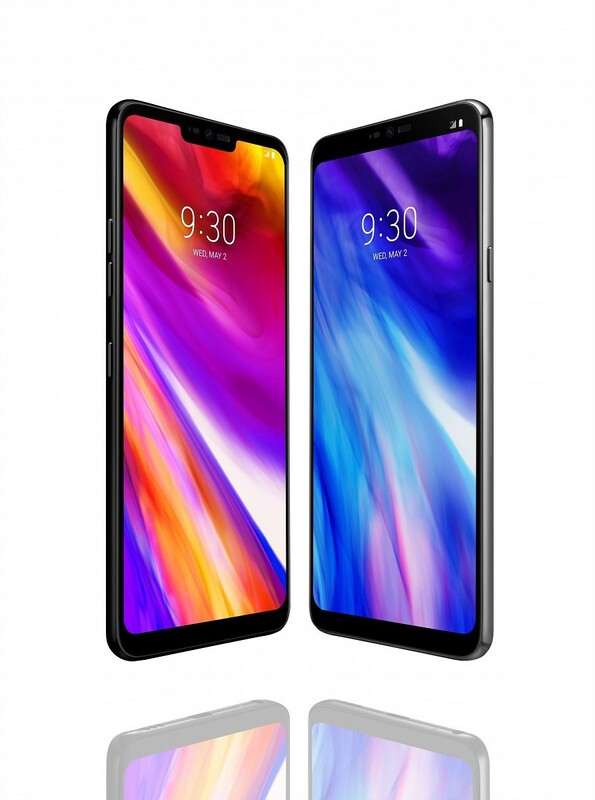 The display is actually taller than the Galaxy S9 and Galaxy S9 Plus as it features a 19.5:9 aspect ratio. The display notch has also found its way on this smartphone but luckily it can be hidden by tweaking one of the options present in the software. Despite being an LCD, LG states that it can reach up to 1,000 nits of brightness thanks to the extra white sub-pixels and it covers 100 percent coverage of the DCI-P3 color space. In addition, the user can effortlessly switch between six different color settings depending on what sort of content they are viewing on their flagship. If you are busy consuming media on the phone such as a movie, the display profile will switch to something called cinema mode. LG states that the bezel is 50 percent smaller than the one present on its predecessor, increasing the premium and overall aesthetics score of the flagship. 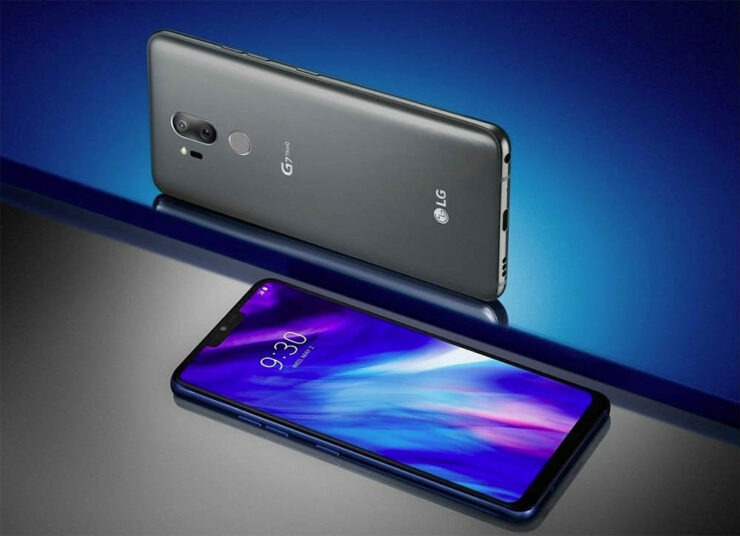 Fueling the LG G7 ThinQ is a Qualcomm Snapdragon 845. The SoC is paired with 4GB of RAM and 64GB of storage, but this is the model that is going to be sold in the U.S. You do get expandable storage capability thanks to the microSD card slot. In other markets, the G7 is going to feature 6GB of RAM and 128GB of storage. The LG G7 ThinQ’s dual rear camera setup comprises up of a standard-angle camera, with a maximum resolution of 16MP and a 71-degree FOV and F/1.6 aperture. The wide-angle lens features a 16MP sensor with a 107-degree FOV and a F/1.9 aperture. The flagship’s camera also provides support for what is known as AI Cam. AI Cam analyzes certain subjects in a photo and provides recommendations on how to improve the overall image. You will be able to see certain filters such as Person, Flower, and Landscape and adjust the camera settings according to the objects you see in the viewfinder. The ‘Super Bright Camera’ mode is triggered when surrounding lighting conditions are extremely dark and it automatically increases the brightness of each photo. We feel that there are going to be certain compromises when this mode comes online, but let us leave that for a later update. The cameras can also do Portrait Mode to blur the background of the subject, with the bokeh effect being applied in real-time or after the shot is captured. The LG G7 ThinQ boasts a Boombox Speaker. What it does is it utilizes the inner space of the smartphone to send out a lot of bass and premium audio. If you are the kind of person who enjoys consuming media and who possesses the propensity to do so without the use of earphones, you are certainly someone that will enjoy this addition. 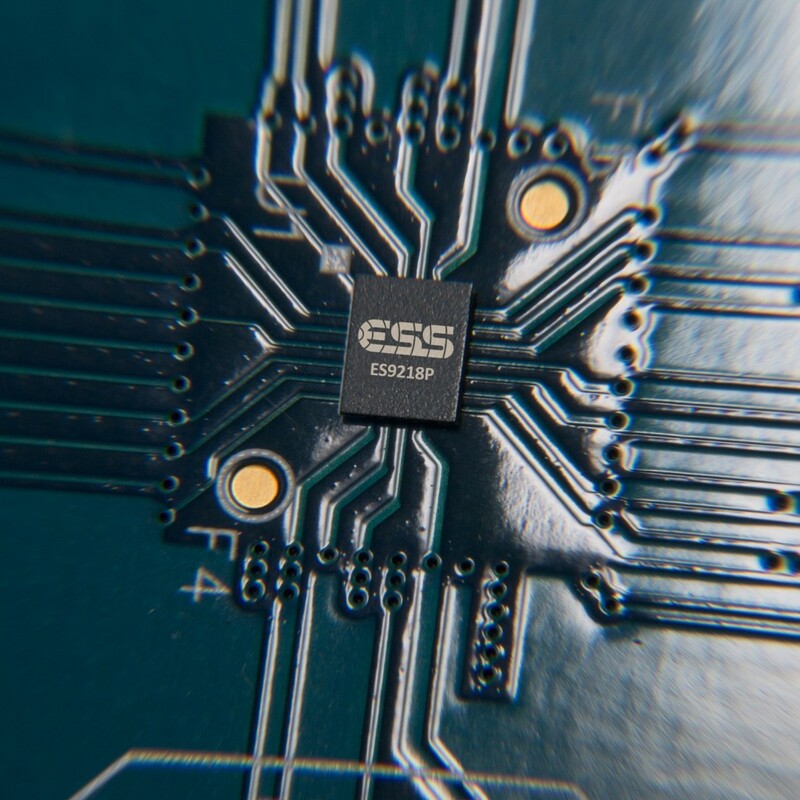 The LG G7 also comes with a 32-bit Hi-Fi Quad DAC and as a result, it becomes the first G-series flagship to come with such a chip. 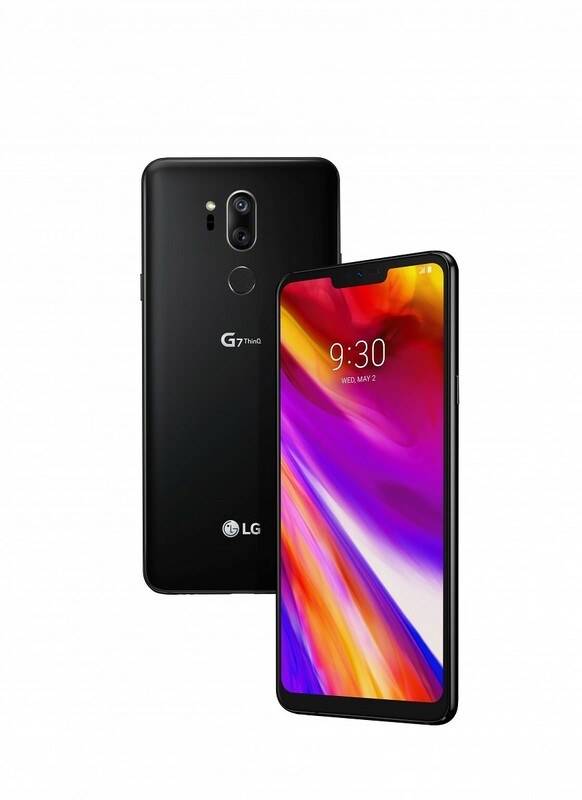 In terms of connectivity, the LG G7 ThinQ sports a USB Type-C port, Wi-Fi 802.11ac, Bluetooth 5.0 connectivity, nano-SIM, and the rarely seen 3.5mm headphone jack. The flagship runs LG UX 6.0 on top of Android 8.0 Oreo and provides Project Treble support. The LG G7 ThinQ is powered by a 3000mAh battery, which we feel was a missed opportunity as the 3,300mAh cell in its predecessor was seen as a decent capacity. Regardless, the phone does provide support for Quick Charge so you’ll probably have enough juice left at the end of the day every time. Pricing details of the LG G7 ThinQ have yet to be detailed, but we’ll update you on the latest. As for the specifications, features and everything else, do you think the smartphone has enough fuel in the tank to take on other flagships? Tell us down in the comments.